We are honored to be preselected to show in the 2017 Cinema New York Film Festival. Please click here to learn more. Undocumented Hispanic couple, Nico and Delilah, never imagined how difficult life could be when dreaming of coming to America, but after starting a family in the U.S., the severity of their situation is constantly on their mind, as one wrong encounter with the law could tear their family apart. Their biggest dream is to be real contributors to their community, if only they could leave the shadows. Chuck and Kathy’s dreams came crashing down when the multimillion dollar construction business they had built from nothing could no longer compete with rising undocumented competition. They do not blame undocumented immigrants for seeking a better life, but desire a better system in which no group is under threat of losing their dream for another to have theirs. Striving to gracefully navigate their life as a married gay couple who deeply desires to remain an active part of the Christian community, Megan and Desiree want others to know they respect convictions, even when they lead others to believe differently. Still, this couple hopes disagreement never means that any member of society should be treated with anything less than compassion and civility. After dealing with depression, miscarriage, and infertility, Drew and Mandy know what it was like to have honest struggles in life and faith. Today, this pastor and pastor’s wife hold great gratitude for the traditional faith that brought them through their struggles and have consequently dedicated their lives to ever growing obedience. Through it all, they have come to see their faith, not as something to impose on others, but as a gift to offer those looking for a meaningful life. As the anchor of hope for our film, African American couple Vernon and Portia use their long history of facing the struggles and fears brought on by racial discord to share how they have managed to thrive despite an ongoing culture war. At the center of their message is living proof of compassion’s success in the midst of a disjointed and confusing world. 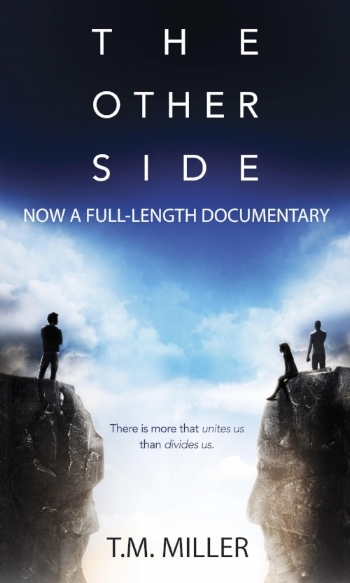 The Other Side is our companion book, which dives deeper into each of our subjects lives for an more comprehensive look into our subjects lives. Moreover, the book addresses what our team believes are first steps to healing our brokenness as a culture.